Beyond the Sea of Life on a Bridge Called Why is a intriguing speculative work that mines religion and history for meaning. 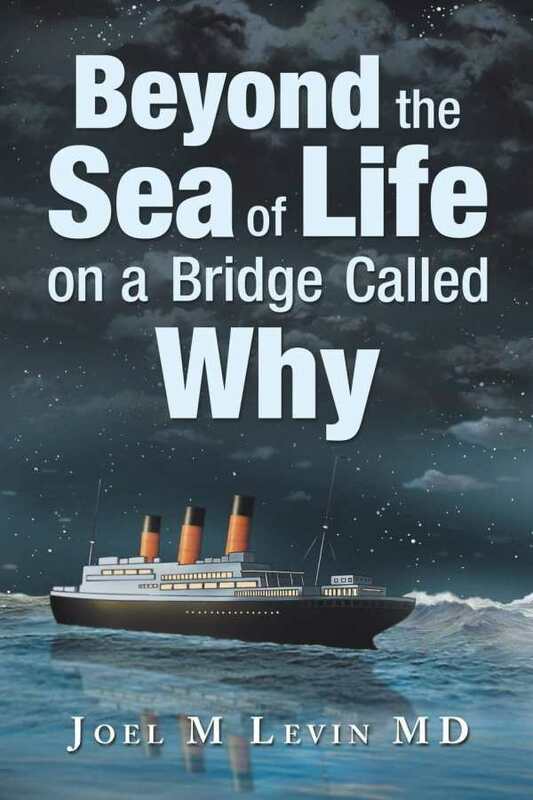 Joel M. Levin’s Beyond the Sea of Life on a Bridge Called Why gathers much together to explore the meaning of history and the possibility of an afterlife. The work begins with a thought experiment: imagine a ship that can sail through time and space and pick up new passengers throughout history. What would someone aboard that ship learn? Each chapter focuses on a hypothetical story featuring one such “passenger,” from Alice, who is kidnapped and sold into slavery, to Mary, who moves from Ireland to the United States. The characters are based on real figures, either drawn from Levin’s life or from history, whose emotional reactions are guessed at. Each story ends with the question of whether the focal person believes in an afterlife. Many of their stories involve emigration to the United States. Not far in, the story moves into overt discussions of the characters’ various religious backgrounds—for example, Faisal and his conflict between being Muslim and living among Hindu people. After all of the characters are introduced, the book moves into themed chapters focused on topics including the growing global population, the potential for pandemics, droughts, and greater reliance on computers and robots. Mixing historical circumstances with conjecture, the book’s tone is informative and thoughtful. Some of its most interesting sections––like one that views the future through a hypothetical robot’s mind––involve guesses at how humans will cope with future challenges. The framing story helps to organize this disperse work, assembling various characters and experts on a single boat, together. However, between sections that specifically address this principle, the narration rambles and is hard to follow. The work appears to have drawn upon a staggering amount of research. Levin’s medical background feeds into the book’s information on potential pandemics. However, there are not clear citations, and it is difficult to distinguish the book’s opinions from its facts. While the book asserts that people have historically faced many challenges as they sought meaning and better lives, many of its observations stop short of clear connections to one another and this theme. A conclusion—framed as Levin’s captain’s log––explains the writing process and character development, but its insights don’t entirely reconcile the mixing of the book’s many different parts. Intriguing, tangential, and wide-ranging, Beyond the Sea of Life on a Bridge Called Why is a speculative work tinged with religion and history.